Unfortunately, Captain Brogan’s experience with hearing loss is a common one for veterans. Approximately 60% of veterans returning from combat zones have reported cases of tinnitus and hearing loss due to exposure to loud noises, both gradual and in one-time traumatic events. 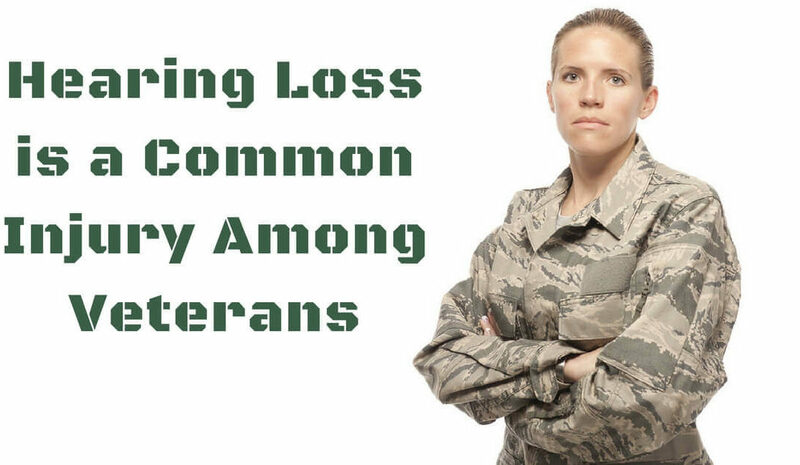 According to the Department of Veterans Affairs, hearing loss and tinnitus are two of the most common military service-related injuries and continues to affect veterans long after they have left the field. Veterans are not alone. Approximately 20% of Americans – 48 million people – experience some degree of hearing loss. In fact, hearing loss is the third most common medical condition in the country. One in three Americans over the age of 65 have hearing loss, while 50% of people age 75 or older have hearing loss. While the subject of hearing loss remains taboo, it is clear that it is prevalent in the US. Noise-induced hearing loss is a form of acquired, sensorineural hearing loss that is 100% preventable. Noise-induced hearing loss occurs when we are exposed to dangerous levels of noise, whether in short bursts, singular events, or over a long period of time. With exposure to dangerous levels of sound, the inner ear hair cells – that receive amplified sound waves and translate them into neural signals to send to the brain – are permanently damaged and do not regenerate. The hearing loss that results is also permanent. Though there is no cure for hearing loss, there is treatment available in the form of hearing aids. These days, hearing aids are highly advanced, digital devices which provide wearers with a natural listening experience. If you are a veteran and believe you have been exposed to sounds that have permanently damaged your hearing, contact your local audiologist or hearing specialist to schedule a hearing test. With all forms of hearing loss, it is best to schedule an appointment for a professional hearing test. Though they may indicate issues with hearing, online hearing tests do not provide the nuanced assessment you would receive from an audiologist or hearing specialist. Make sure to schedule an appointment for an in-person hearing test as soon as possible. Many historians mark World War II as a moment of technological advancement. The traumas of the war are well-documented – it was the first war in history to use airplanes, for example. Outside of combat zones, World War II had detrimental effects on veterans, with hearing loss and tinnitus among them. Audiology was greatly expanded as a field following World War II. For the thousands of veterans who experienced exposure to loud sounds in combat zones, audiologists began to develop research and innovation to address this medical condition. By 1947, military aural rehabilitation programs had processed 15,000 veterans and a decade later, in 1957, the Department of Veterans Affairs (VA) had identified 71,000 veterans suffering from hearing loss. If you are a veteran who believes you have tinnitus or a hearing loss, it is important to seek treatment as soon as possible. Signs of hearing loss include: difficulties with speech recognition, asking people to repeat themselves when they speak, turning up the volume to maximum on your TV and phone, and avoiding social interaction due to difficulties with communication. Coupled with the other issues faced by veterans upon return from combat zones, it is even more crucial to get the help you need with hearing loss. The VA offers benefits and reimbursements for hearing loss treatment, tinnitus therapy, and the purchase of hearing aids. Schedule a hearing test and consultation with the VA or with your local audiologist/hearing instrument specialist today.